The Diary has been informed of the death of Martin (Matt) Carrigg of Laurel Wood, Kilcullen, and formerly of Kilfenora, Co Clare. 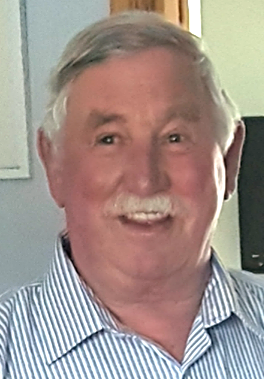 Martin is sadly missed by his loving wife Breda, sons Paul and Matthew, daughters Pauline and Ciara, brothers Austin and Anthony, sisters Mary, Breda, Bernie and Theresa, his grandchildren Jessie, Evan, Erin and Cillian, extended family and large circle of friends. Martin will be reposing at his home on Thursday from 4pm with Prayers at 7pm. Removal will take place on Friday at 10.20am to arrive at the Church of Sacred Heart and St Brigid, Kilcullen, for Funeral Mass at 11am followed by cremation at Newlands Cross Crematorium. Family flowers only please. Donations, if desired, to the Friends of St Luke's Hospital, for which purpose there will be a donation box in the Church.